The temporary one way system in Whitstable has caused real difficulty for local shops these past three weeks. Isn’t it time the council considered how we could use our car parks to support local business better? At one point last week, drivers venturing into Whitstable would have found themselves turned away from Middle Wall Car Park, Cromwell Road, Cornwallis Circle and struggling to park centrally as the capacity of Gladstone Road car park has been halved. The temporary one way system caused by the closure of Sea Street and the development of the Oval may be coping, but local trade on our high street has drop substantially and confused many residents who rely on local buses to venture into town during the week. Last week myself and fellow candidate Chris Cornell visited local shop keepers to talk to them about the disruption. One shop keeper was clear that something needs to be done. “For years I’ve been saying to the council that the strength of this high street depends largely on the Gorrell Tank Car Park and for the third year in a row it is about to be temporarily closed” said one local shopkeeper. “The council really appreciate that their actions affect our takings”. As the council roll out more infuriating machines to car parks down the high street, Labour would like to see local residents given half an hour’s free parking to encourage them to use local shops. Freeing up the high street would make buses run easier, prevent queueing and make it far safer where roads are narrow. It would stop our loading bays being filled with people popping in for a print of milk. Canterbury City Council already use free parking as a means to attract shoppers to Herne Bay, so why not Whitstable? As the council continues to raise the price of parking in our car parks and outside your house, we think that the money their new automatic plate recognition (ANPR) machines swallow because the machines don’t give change, could be better spent. 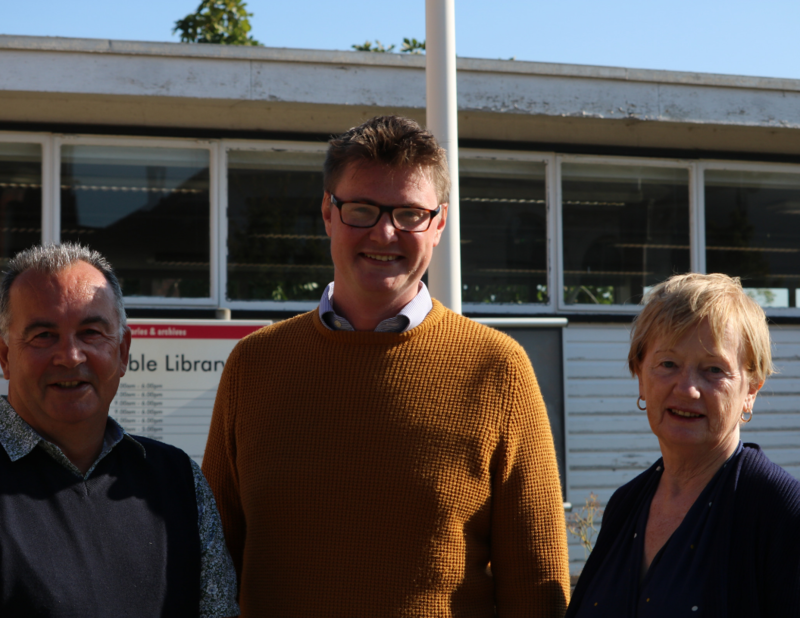 A Labour council would run a honest, independent consultation on parking in town and support local businesses by using the council car parks differently.